Come and enjoy our finest fish and chips at Nemos Fish & Chip Shop Caernarfon. Nemo is a family owned fish & chip shop situated in the heart of the historic town of Caernarfon. 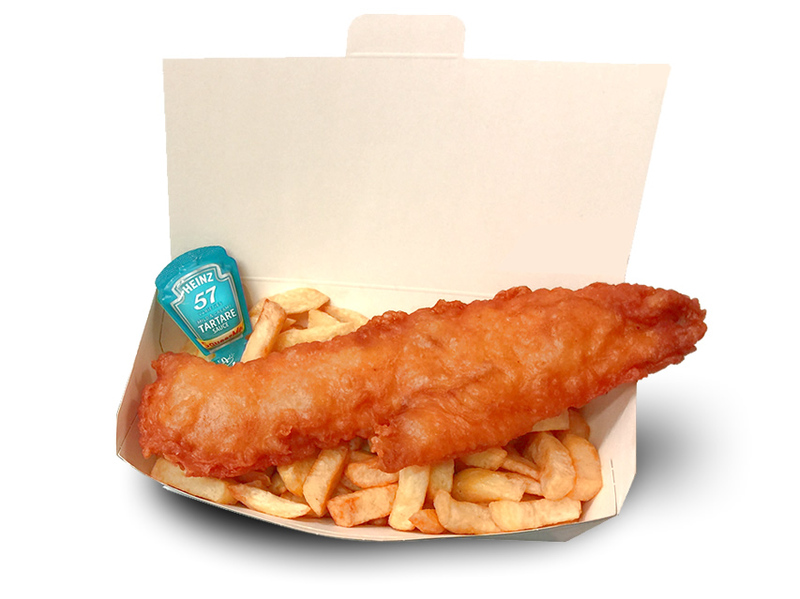 We specialise in freshly cooked chippy classics, such as our fluffy cod fillets which are coated in our very own golden, crispy batter and fried to your preference in rapeseed oil. Caernarfon is a town of great historical importance, located on the eastern shore of the Menai Straights. Nemos is located right next to Caernarfon Castle and the Harbour making it the ideal place to pop in and sample some of the regions best quality Fish & Chips. Nemo's chip shop in Caernarfon, proudly produce some of the areas best quality fish & chips, prepared by people who care. 'The best fish & chips we've eaten in a long while' (quote from Trip Advisor review). "They ARE that good" - .. and very tasty ... Cooked to order and brought to your table if you are seated inside or outside by friendly waitresses .. the coffee was not bad either ..